Yoga, if practised regularly can help with physical flexibility and strength. Most people feel so good after their first class & continue to feel good, that they want to come back again. 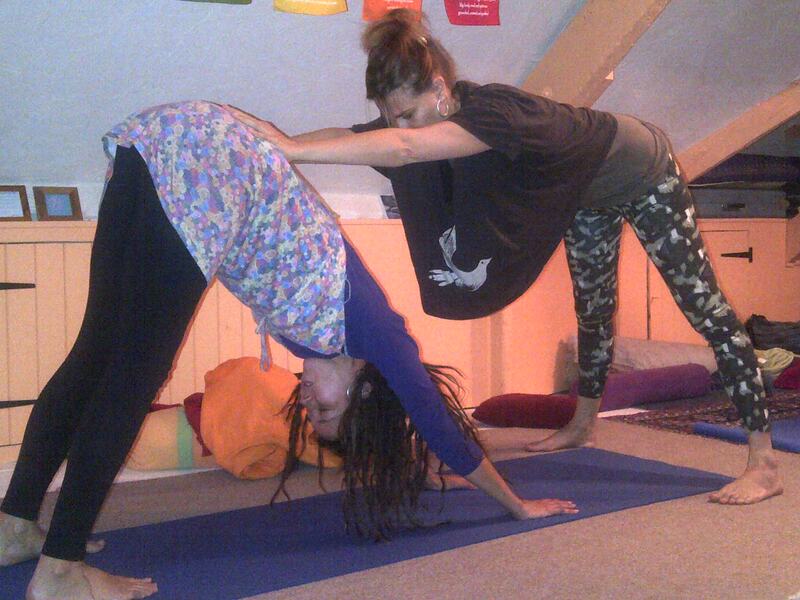 Yoga is mentally uplifting, calming and is very good for balancing symptoms of stress. 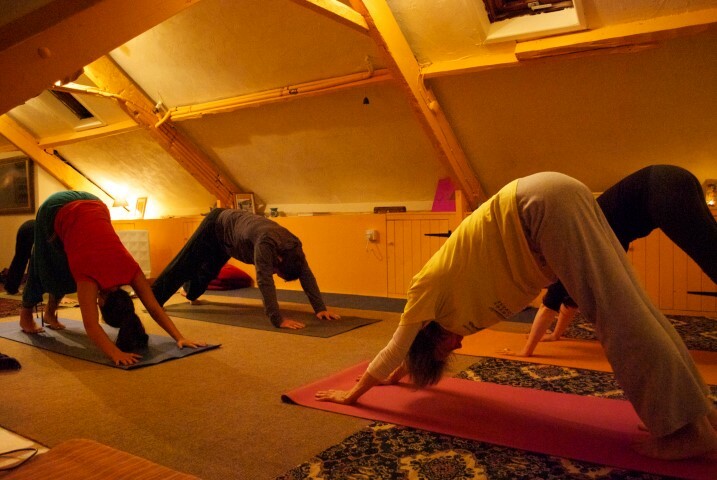 ONE TO ONE PRIVATE YOGA CLASSES, £30 FOR 1 HOUR, are available with Katherine, Stewart or our visiting yoga teachers, in the Sanctuary at Cranleigh House. Private Classes are usually between 11am-12 midday or 5.30-6.30pm. Sivananda Classes are one hour long and are designed for able bodied people, including sun salutation, postures & pranayama. Everyone, of all standards, are welcome. Give us a call and we can see if we can tailor make the class to suit your ability. Cost: £7 for a session or £35 for 6 classes. For all Yoga classes please bring your own mat and wear loose clothing. You can borrow a mat, for your first class, if you'd like to give Yoga a try. 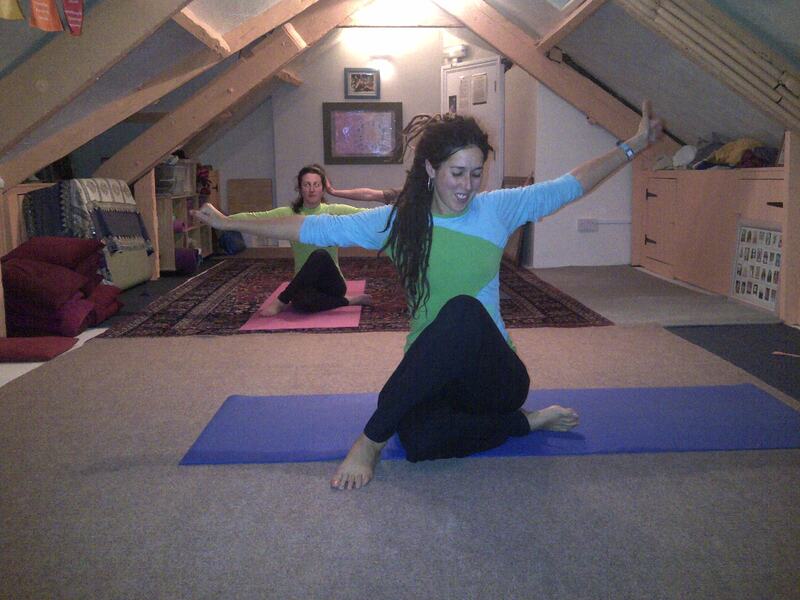 Our yoga classes are held in the Cranleigh House Yoga Sanctuary, it is a beautiful room full of character. It was dedicated as a Sanctuary to the Master Jesus by Mary King, mother of Western Master of Yoga George King in the early 1960's. 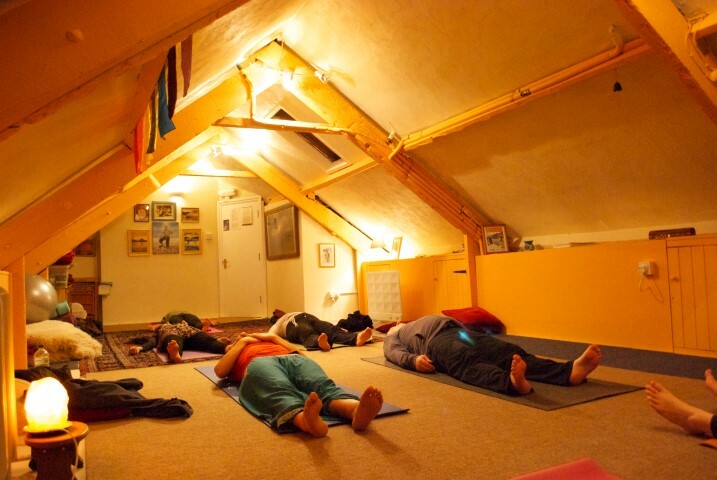 People enjoy practising yoga & meditation in this healing space. 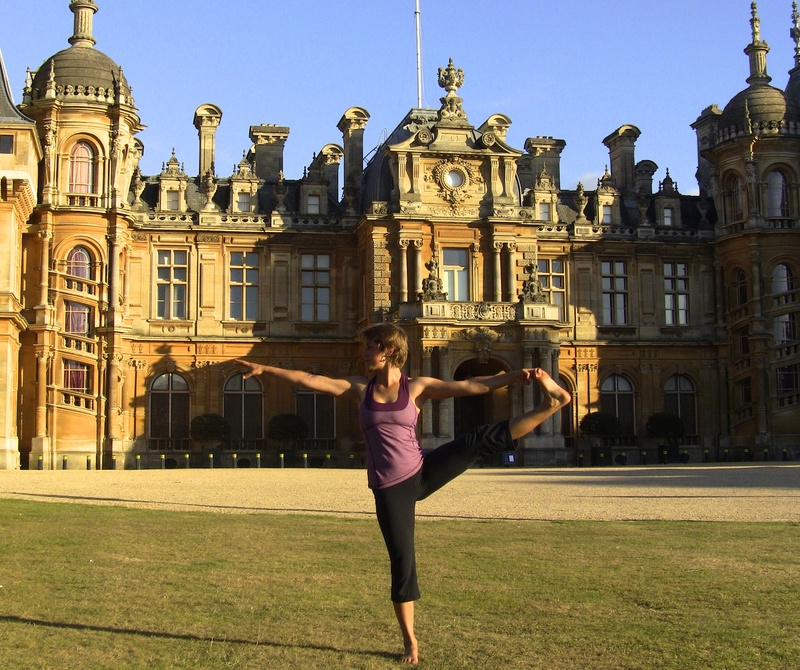 Katherine Armitage is a Sivananda & Kundalini Yoga trained teacher. I attended the Sivananda Yoga Centre in Putney, London for many years. I have also been a student of the teachings of Dr George King, Western Master of Yoga, since 1992. I have been teaching Yoga since January 2004. I practice some form of Yoga daily and I teach a range of abilities from beginners to intermediate, from very flexible people to people with physical restrictions, chronic illnesses and elderly people. I love Yoga & its transformational power! I really enjoy working with people and seeing them reaching their full potential. 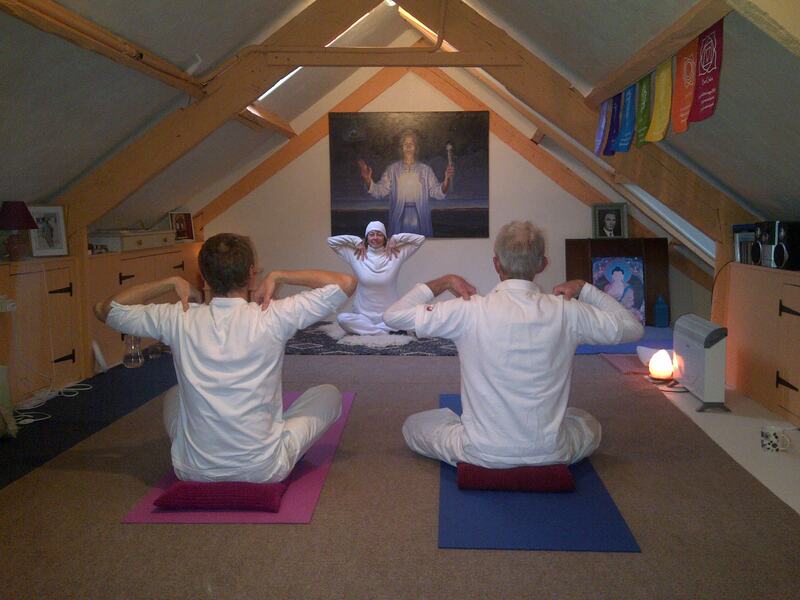 In 2012 I trained as a Kundalini Yoga Teacher in the tradition of Yogi Bhajan. These two types of yoga complement each other really well. 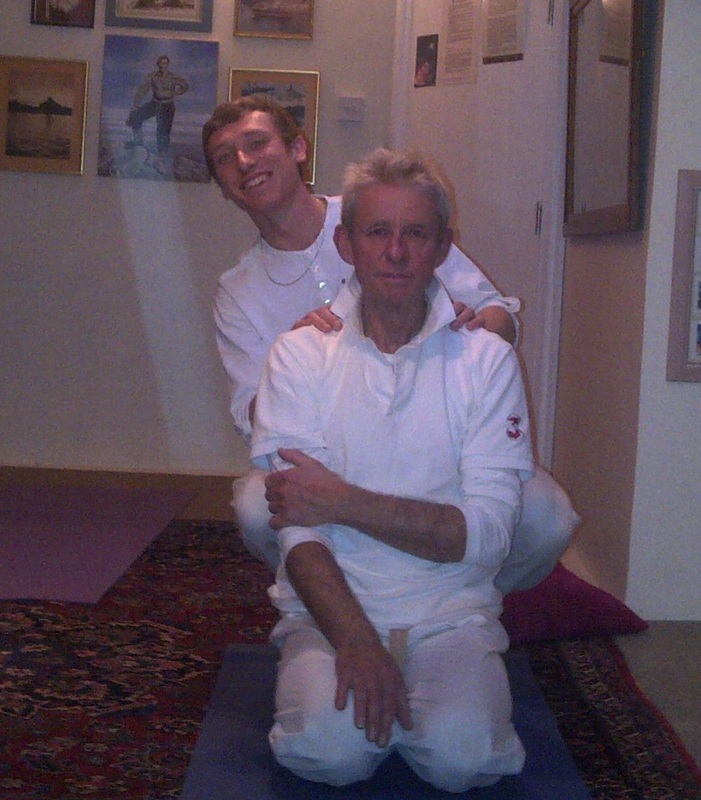 Stewart Johnston is a trained Kundalini Yoga teacher in the tradition of Yogi Bhajan. Stewart has practised Transcendental Meditation since his early 20's and recently trained as a Kundalini Yoga teacher. He is a longterm practitioner of Hatha Yoga. His Kundalini Yoga classes are stimulating, lively and energising. I began my serious pursuit of yoga during a particularly tough year of university. My health was failing and I was suffering from classwork anxiety and the "I'm almost finished with school, now what do I do with my life?" depression. Not so unlike most senior students, I suppose. I had taken a semester of yoga in university and I remembered the light sensation of peace and safety I'd experienced whislt focused on my mat. I wanted to transform that elusive feeling into a state of being, so I joined a yoga studio and invested in some stretchy pants. I can honestly say that is was yoga that restored my health and peace of mind. I learned to view myself through a new lens - a clear lens without judgement or unrealistic expectations. After a year of regular practice, I happily realized that my health was far better than it had ever been. I decided that I wanted to be able to share this route to health and peace of mind, so I enrolled in a teacher-training coure in Spain through froglotusyoga.com. After three and a half weeks of brutally intensive yoga training, I achieved my 200-hour certificate to teach Yoga Vinyasa. I spent one year teaching privately in Europe and Africa. 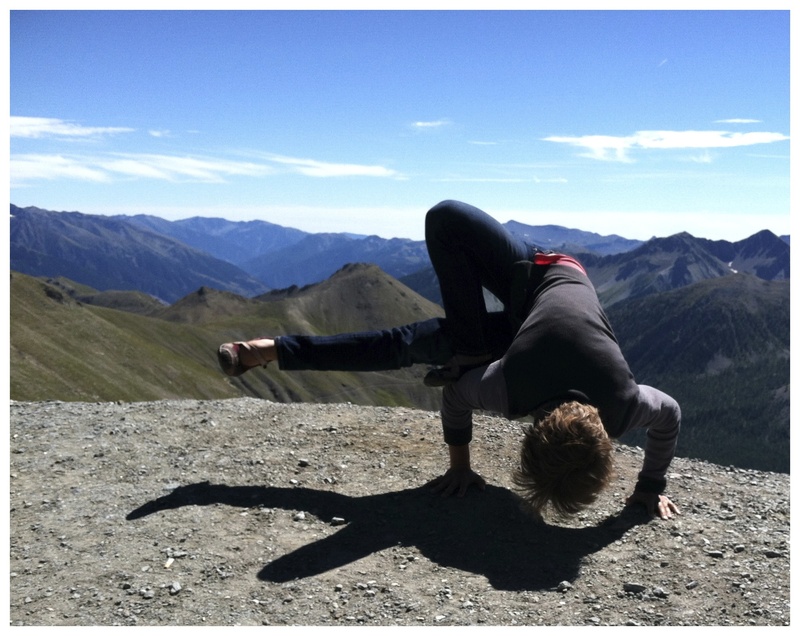 Upon returning to my hometown in Colorado, I found work teaching at Colorado Mesa University, Yoga West Collective, and privately in homes throughout my valley. I can offer restorative classes for beginners or for those who just need to release and relax. In these classes, expect to move steadily, slowly and mindfully, to experience deep opening and mindful breathing. I can offer vigorous flow classes for those who need to break free from lethargy and feel the joy of movement. In these classes, expect to move fluidly, develop muscle strenght, cardio endurace and really play your edge. 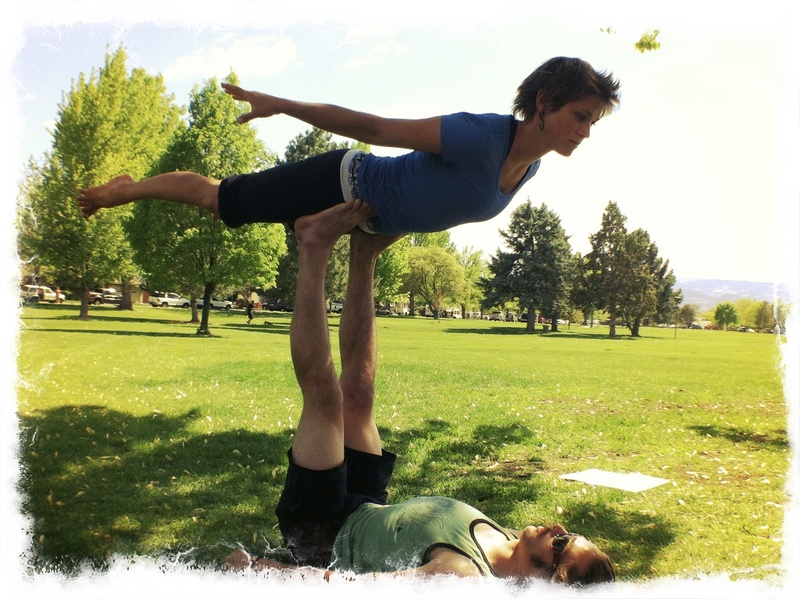 I can also offer basic partner yoga for those who want to connect with another human being in a compassionate and communicative way while exploring a new level of depth in their own practice. Throughout my yoga career, I hope to help people achieve the skills they need to feel comfortable in their bodies. To discover the connectiones between breath and thought; between breath and movement; to develop flexibility, strength and balance. To eliminate the stress engendered by constantly dwelling on the future, the stagnancy and regret by constantly dwelling on the past, and find a means to enjoy the fullness of the present. 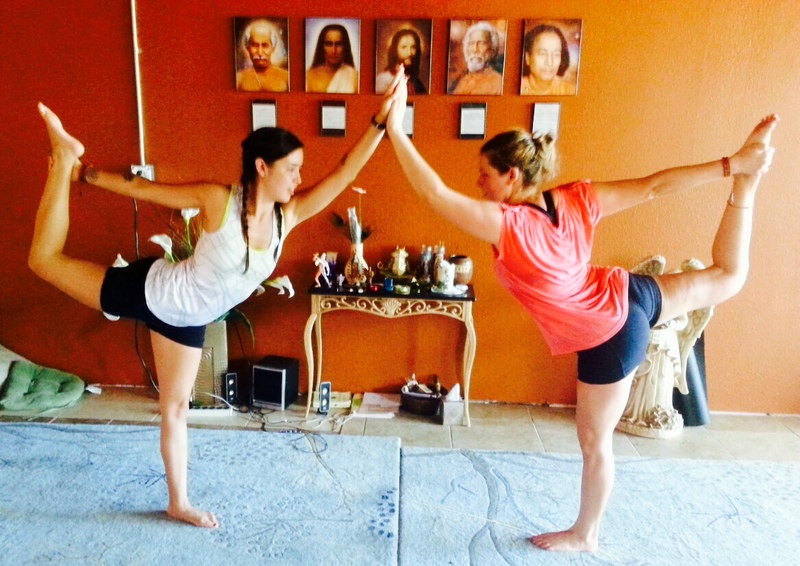 Kayla is a trained Sacred Yoga teacher and loves the power of unity that Yoga brings. Sacred Yoga supports transformation through the use of positive affirmation. If you are currently seeing an osteopath, chiropractor or physio therapist Yoga can be a very good complement to these kinds of treatments, for ongoing physical injuries or strains, as it helps to loosen tension in the body and mind. ...FOLLOW THE PATH OF YOGA..to enter the magical space. The space of silence, stillness, peace - the space that words cannot describe as it is beyond the mind, free of all conditionings and fear. So... what does this mean?! and lifestyle that you've always wanted. Start your Yoga journey today......!